$1333.00 of free extras with purchase! 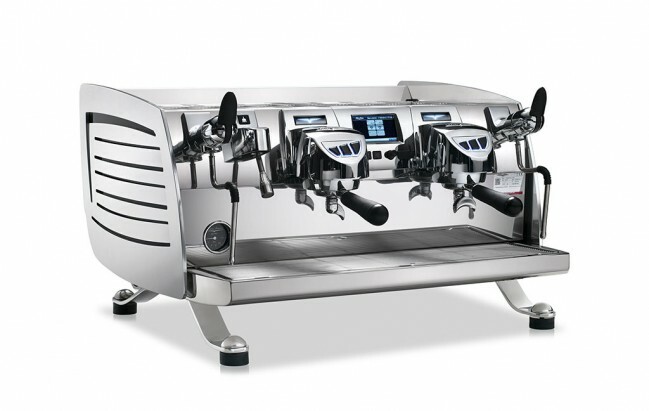 Victoria Arduino's Black Eagle Volumetric steps into the third wave with Nuova Simonelli's established commitment to efficiency, stability, and ergonomics with an elegant design that doesn't sacrifices function and all of the essential features for the 21st century coffeehouse. 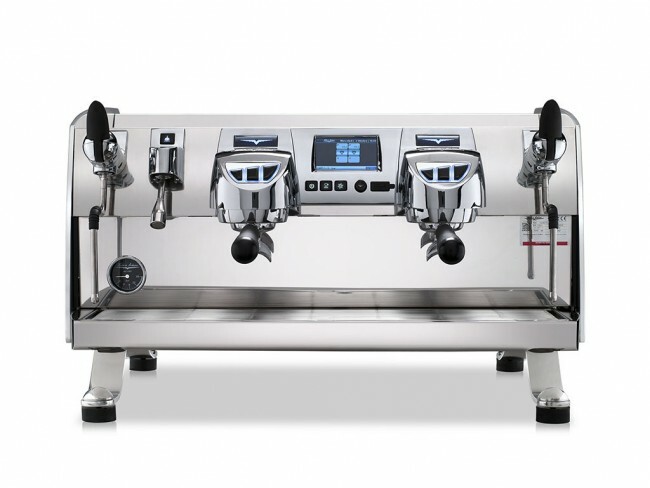 The Black Eagle combines the power of T3 technology with handy volumetric programming. 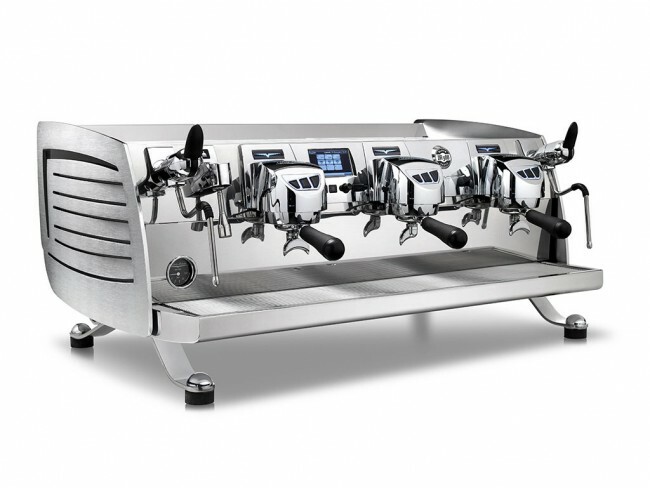 With that, the Black Eagle Volumetric becomes one of the most consistent machines available. Now bring the machine down to a low-profile for style and smoother over-the-counter interactions to complete the recipe for a sleek, high volume, third wave titan. T3 Technology: After brew water makes its way through the heat exchanger, it passes through a independent brew boiler before then passing into an actively heated group. 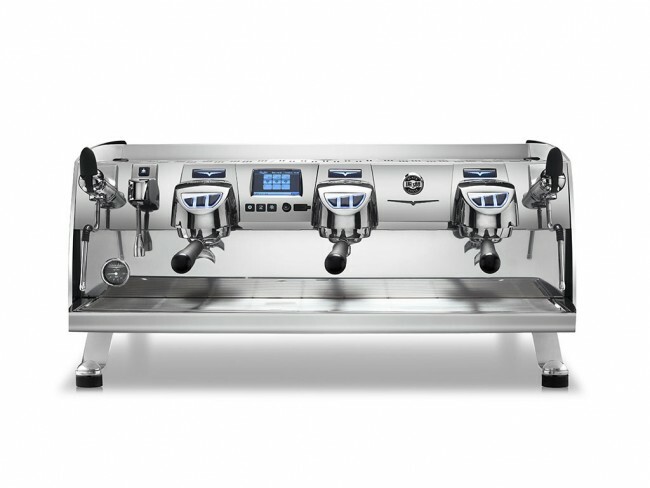 PID-Controlled: Both the brew boiler and each heated group is PID temperature controlled for precise control and unwavering stability. Volumetric Programming: Each group can be programmed with four shot volumes for ease-of-use, efficiency and consistency. Low-Profile: The Black Eagle sits low on the countertop, opening up the space for a welcoming environment and a participatory drink preparation feel. Digital Display: A large LED screen is the Black Eagle's center console for controlling its features and functions. Pull Push Steam Levers: These levers are intuitive and ergonomic, allowing for full-bore steaming and easy feathering for reduced or brief flow. Cool Touch Steam Wands: No burned arms with these wands. Ergonomic Design: There are no misplaced buttons, awkward knobs or dangerously hot surfaces to be found on this machine. 2 Group: 20" | 3 Group: 20"
2 Group: 33" | 3 Group: 43"
2 Group: 28" | 3 Group: 28"